Replacement waste bags for Henry and Hetty Numatic Vacuum Cleaners. 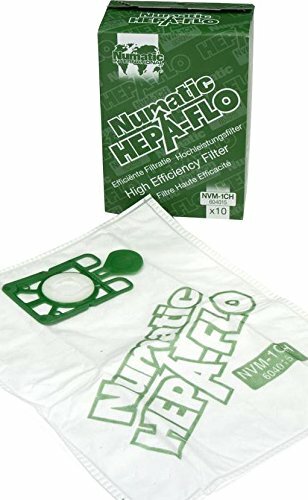 These vacuum cleaner bags use Hepa-flo technology to filter out dust efficiently. Double-wall filtration and a dust-proof collar reduces the amount of dust, ideal for allergy suffers. This pack contains 10 replacement bags for Henry and Hetty.